Today on the Heinemann Podcast, a year of teaching dangerously. 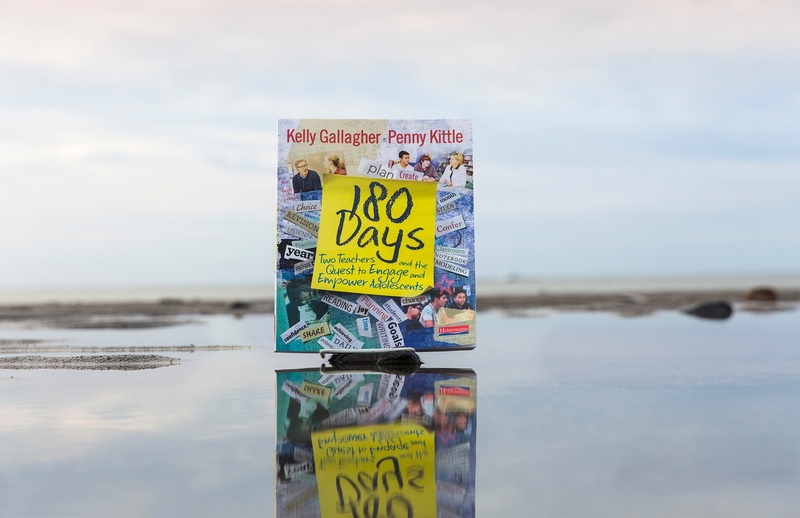 Spoiler, that was ALMOST the title for Kelly Gallagher and Penny Kittle’s new book… 180 Days. The idea for this book started with the question, “how do you fit it all in?” Their very honest answer… you don’t! And that’s the point. Plans change based on students’ needs. Kelly and Penny teamed up to connect their classrooms from California to New Hampshire to co-teach for a year. They spent their time planning, teaching, and revising together to come up with an entirely new approach to classroom learning. This became two teachers and their quest to engage and empower adolescents, as their subtitle suggests. We had a lot to talk about. So we’re going to bring you our discussion in two parts. Here is part one. Brett: So let's start with this, you open the book with the heading, "A year of teaching dangerously," why that? Kelly: I think one of the reasons we were toying with that actually as a title at one time is because some of the things that we advocate in this book are not common practices. So we're asking teachers to think about those kids that are in their classroom, we're asking teachers to think about maybe bucking their own systems a little bit because ... And I know Penny has talked about this a lot, this idea that sometimes we get overly focused on the standards, and we lose sight of those children who are in our classroom. In our talk yesterday, you talked a little bit about how each year is different. Penny: Yeah, and I think we thought that the reason it isn't our title is that teachers are out there teaching every year, and it takes a lot of courage to try something new. But I'm not sure that I would call it dangerous. The idea behind a year of teaching dangerously was that we were exposing what could we fit in a school year. And I think that we both feel like it's a little bit more comfortable to say, "Do this," I'm not gonna tell you exactly how, but I'm just gonna say, "This would be a really good thing here." What if we instead said, "This is what we did," even though we know looking back it wasn't perfect. And that felt dangerous for both of us. Kelly: When we had extensive conversations about how we were going to approach our kids, this idea that ... We came to this idea sort of philosophically that we were going to do some things that aren't done in a lot of secondary classrooms. I think that is dangerous, I think it's dangerous. We both meet tons of teachers who give us a sense that they're locked in with other people telling them what to do with their kids, and ironically and sadly, I think a lot of times that the people who are telling them what to do with their kids are very far removed from their kids. And removed from teaching, and removed from the day-to-day realities of being in a classroom. Penny: The teachers don't feel they have a voice, they don't feel they have agency in their work. And we were saying, we both work in places where we've been given the agency to decide what's best for our kids. So with our best thinking together, could we come up with a plan? And then how what worked, worked, and how it didn't, and then share it with teachers. Kelly: I also think it's dangerous too in the sense that even though we have a combined 66 years of teaching, should I say that publicly? That even though we have all these years of teaching, we're doing new things every year. We're not repeating the same thing. And I think we both get that charge and that energy from not exactly repeating what we did the year before. I mean, as we sit here now, we just did this complete new equity unit with kids, and looking at book clubs through the lens of the issue of equity. That's not something we've ever done before. Brett: You immediately follow that up with the very honest question, how do I get it all in? How do I fit it all in? Brett: So how did you fit it all in? Penny: Well there is no all, there is always a teacher sitting down to say, "I can do this, but then I can't do this." The currency of education is time, is this worth the time it's gonna take to teach in my room? And that's the question that we would bounce against each other. And often the conversations, we planned all year, it wasn't a let's create it in the summer. But we would get together at the end of a unit, or in the midst of a unit and say, "How is this going? And what are you noticing? And I need to circle back and do this, because I've lost this." That negotiation of how to spend time was the heart of the book. 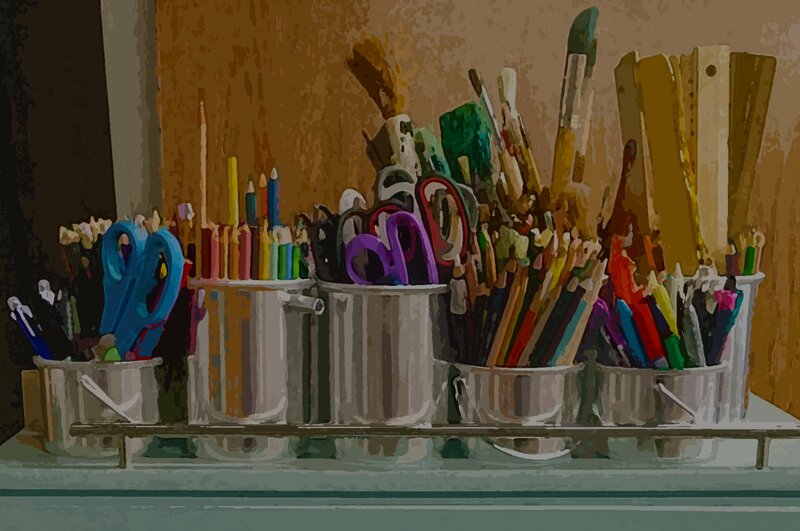 If we're gonna try to fit in what we've been asked to do, we knew from the get go, we looked at the curriculum guides, that this can't be done in a way with integrity, and with kids at the center. Kelly: It doesn't all fit, there are too many standards, there are too many kids, there are too many needs. So one of the values for me in co-teaching, and co-planning a year with Penny was having those hard conversations. If it doesn't all fit, where are we going? What are we doing? What stays in? What gets cut? If we're doing something new, then what from last year are we not repeating? Those were not just questions we had at the very beginning of the year, those were weekly questions, and unit-level questions. Trying to map a year that's tied to our philosophical underpinnings, our belief system, required a continual revisitation of what are we doing, and why are we doing it? Why are we doing this, and why are we not doing that? Why aren't we doing that when everybody else is doing that? Those kinds of questions, I think that was where the real richness of our collaboration came through. Penny: And what if it doesn't work? Kelly: Right. And there were times in the year where we liked what we had planned, but we ran out of time. You know? One of the elements we talk about in the book is at the end, what did we learn from our year together? What would we do differently next year? I remember we were doing a unit, and we wanted to spend a little bit more time on it in my own classroom, but you know this thing called winter break was coming, and my school district did not give me permission to move winter break. So we had to decide what stays and what goes. I think our goal in starting the book was not just to create a book where we talk about what we did, but it's more about why we did what we did, and the myriad decisions that teachers have to make on the daily-level, on the unit-level, and really on the macro-level of looking at an entire year. That's what we were really trying to capture in this book. Penny: We wanted to honor that decision making, and then show them how we make decisions. Brett: Why together? Why did you feel it was important to do this on two opposite sides of the country, and that your two voices needed to come together to do this? Penny: If Kelly lived in Boston, I wouldn't have looked for a teacher. So it had nothing to do with location. It was really about Kelly and I have presented together since 2010 at NCTE, and he's someone that I look to in my thinking, because of what I appreciate about his work and just the way he thinks about kids, and is with kids. So that was really about the person, I don't know about you. Kelly: Yeah, I mean I've admired Penny's work from afar for a long time. And over the years we've become very good friends personally and professionally. And what I've always really, really liked about Penny is she challenges my thinking. She's changed my thinking in a lot of areas. And I think there is a stagnation that occurs in teaching when teachers stay in their silos and again, for me it was not location either. It was an opportunity to really sit down and think, and plan, and teach with somebody who I know is a great, great teacher. Penny: But there was also this place where we looked at our populations that we teach, and looked really closely at inner city Anaheim and the rural mountains of New Hampshire and said our kids can be a part of this collaboration. I'm smarter because I'm working with Kelly, my kids are gonna be smarter because they're working with Kelly's kids. Kelly: Not just smarter too, 'cause I think one of the things we found as we did a lot of collaboration between the schools, what's been really cool about this project is that Penny came out and visited my school a couple of times. Once in the fall, and once in the spring, and taught in my classroom. And I did the same thing in her classroom in the mountains of northern New Hampshire. And what was cool about that, on a number of levels. One, we filmed a lot of it, so we're very excited about a lot of the video that accompanies this project. But my kids live in a very rich cultural bubble. But it is a bubble. And Penny's kids live in a very rich cultural bubble, but it's their bubble. And it turned out in an election year, where there's a lot of things being argued, and discussed, and written about, that we had this opportunity for our kids not only to do things like read Romeo and Juliet at the same time, but to look at things as the year unfolded. Things that are contemporary. Penny is the master of finding really interesting seeds for kids to think about, and write about. It's different when my kids are sitting in a hermetically sealed classroom and reading, and writing, and sharing with each other. But when they know that kids in New Hampshire are going to hear what they say, and respond to what they say, right? Penny: Even the first emails that were a couple sentences long, my kids labored over. Because they kept saying, "Who is this kid? And what's he like? And I'm not sure how to pronounce his name." And at the same time, watching Kelly confer with my kids was amazing. And a lot of that happened, like I was conferring across the room, but I could watch the video and say, "Oh my word, the way he spoke to one of my kids, and the things he got out of that student that I hadn't." So we became very familiar with students in each others' rooms. Like, "Oh, remember when I conferred with so and so." And it was really rich to sit in a room with someone who thinks as deeply about the work as I do, and to have the kids leave, and then the two of us process how did that go? And what were you thinking about? And what did you notice? Which is if any of us could choose in the work, I really believe we would all have partners in teachers. Kelly: It works both at the teacher level and at the student level. I believe, we believe that when students know that their thinking is going to be shared with people outside of their immediate world, there's more investment, there is more interest in that. And the same thing as when two teachers share. Either one of us could very easily this stage in our career close the door. We could have a fun, interesting year. But when I know that we're planning a unit, or we're planning a day's instruction, and Penny's kids are going to interact with my kids, it in a good way pushes conversation amongst two teachers that I think is missing in the profession. We didn't always agree. Kelly: Oh well you said that kind of sharply. Kelly: Let's try that again, we didn't always agree. Penny: Most of the time we did. He had to call me late on a Sunday night because I was really anxious about starting Romeo and Juliet when I had kids who still hadn't become really habitual, independent readers. I always said he kinda talked me off the ledge of how do I start a core text unit when I'm still struggling? And just that conversation of why are you teaching it? And reminding me to go back to why do you believe this is important? It was like I had a partner for the whole year that was as committed as I was to the growth of my kids. And then our kids began to share these movies, in one of the projects that's in the book about where they came from. And what was fascinating for my class was that they didn't know the traditions of his rich cultural bubble, but they also were soon learning that his kids did know that people went moose hunting, or rode their snowmobiles to school. So they wanted to share that, because his kids were like, "What?" Brett: You write a lot, in the beginning of the book, you were talking about planning Kelly, just a minute ago. And you really write about the importance of pre-planning, and then going back to the plan throughout the course of the year. Can you talk a little bit about what that's important? Kelly: ILA, and we had blocked out three or four hours of time, and we said, "Okay, we're really gonna do this project." Penny: The first three weeks, we're gonna get the first three weeks planned in that three hours. Kelly: So we sat down and said, "All right, what are we gonna do day one? Let's talk about this." And three or four hours later, instead of planning three weeks of instruction, we had planned one and-a-half periods of instruction because every time we started to go down this road of what should we have our kids do? It always turned back to, well why do you do that? Kelly: Why do I do this? Penny: Do you grade that? How do you grade that? Kelly: And why do you grade that? Penny: Exactly, it was ... Wow. Kelly: And we addressed this in one of the early chapters of the book, is you really can't plan what unless you really have a firm grasp on why. Kelly: We spent a considerable amount of time just sort of coming to terms with our agreed sort of philosophical underpinnings of teaching, and then we got into the planning. But I would say, and you could talk about this a little bit too, if you'd like. This idea that we sort of planned at the macro-level, but we're not a if it's day 17 we're on lesson 17 teachers. Penny: Yeah. No, we were planning like a unit, we knew we wanted our kids to write stories, so we would plan with the kind of writing we wanted them to do. But then in the midst of it, "How did you go when you taught them dialogue and punctuation?” "This is what happened in my class, I gotta go back at it tomorrow, because they still don't know." And it was that kind of back and forth between I've got one class that's really moving, and I've got one class I'm struggling with. Do you have kids who do this? Or do you have kids who are stuck? Or I don't know, there was also ... Kelly would tell me about books I'd never read. One of the great things about a collaboration is that you're experiencing different things, and you love different things. So you have, like he'll find an article on a baseball player that I would never find, 'cause I'm not a baseball fan. But it's a great example. So that idea of having very different places that you draw from. Kelly: Or Penny would send me poems, or short stories, or New Yorker articles that were just ... I would've never found on my own. Which comes back again to that value of collaboration. Brett: Is that where the value statements came from in the book? 'Cause you write about your value statements early on, after you talk about the pre-plan. Is that where that came from? Kelly: Well it came from 60 something years of teaching. Kelly: It came from a lot of mistakes, it came from that idea that every teacher who has taught a long time I think has this feeling if you could go back and meet your first few classes you would apologize. Penny: But he's not telling the truth when he says that, 'cause if I had something to tell him that I'd written in my notebook, I would screenshot it and send it to him, and I always knew he'd be like, "Ugh." Penny: No even better, you sent me a table of contents within about 10 minutes of me suggesting that we actually write a book. I said, "Who does that?" Kelly does that. Kelly: Right. So there were differing styles. Penny: And differing feedback styles. Can we mention the red wedding moment? Kelly: I think we're running out of time, but if you want to go down that road, sure go ahead. Penny: So I, in one of my bursts of thinking, and Kelly was on vacation, and we had these rules about trying to give our spouses our full attention, and we would not correspond. And I had done all this thinking about something that all of a sudden occurred to me as really important in a blast in my notebook, and then I had transcribed it. And I sent it, I shared it with Kelly, we did all of this on Google Docs. And I said, "I know this is really rough, but if you could just when you get home, give this a read." And he said nothing, except that he sent me back very quickly. And I opened up my computer, and it was solid corrections, in red, solid corrections. Kelly: There was an issue with the word corrections. But go ahead. Penny: So anyway, he's written all over it. And I slam it shut, and I look at my husband and go, "I will never talk to him again. I will never share my writing with him again." And I told him it felt like he massacred something that wasn't even formed yet. Kelly: We call that our red wedding moment, based on Game of Thrones. Kelly: So yeah, Penny is brilliant and a little sensitive at times. Penny: I was a little sensitive at that moment, but I got over it. And his corrections, whatever you call them, he is really good at making my writing clearer, and he's very good at that in all things. Presentations that we put together, I will have some big thinking, and Kelly will come in and go, "Say it like this, like this, like this." And that is such a great combination that I kind of know where I wanna go, but I got somebody who can make me go straight. Kelly: But I will circle back around to your question and say I think ... See how good I am at keeping us straight? I would come back to your question and say I think our philosophical underpinnings came from years of teaching, years of reflection about teaching, years of reading books about teaching. We both, on both coasts have had enormous influences. To have some of the people who have been in our professional lives, to have one of them in your professional life would be remarkable. 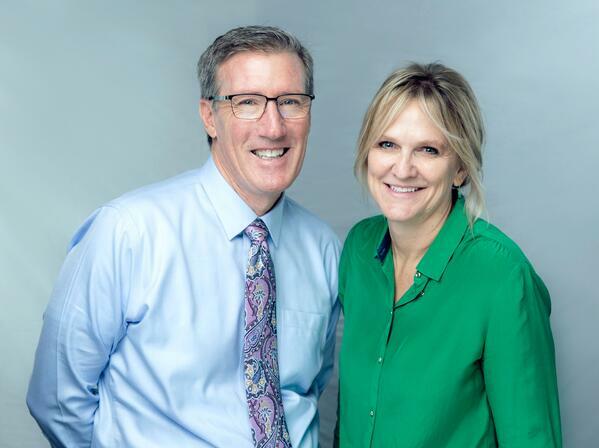 But Penny, on her side of the country, and me on my side of the country have met remarkable people who have had major, major influences on our thinking. So when you stew all of that together, I think that was sort of the ingredients. We list a number of these in the book, and some of our thinking behind them.